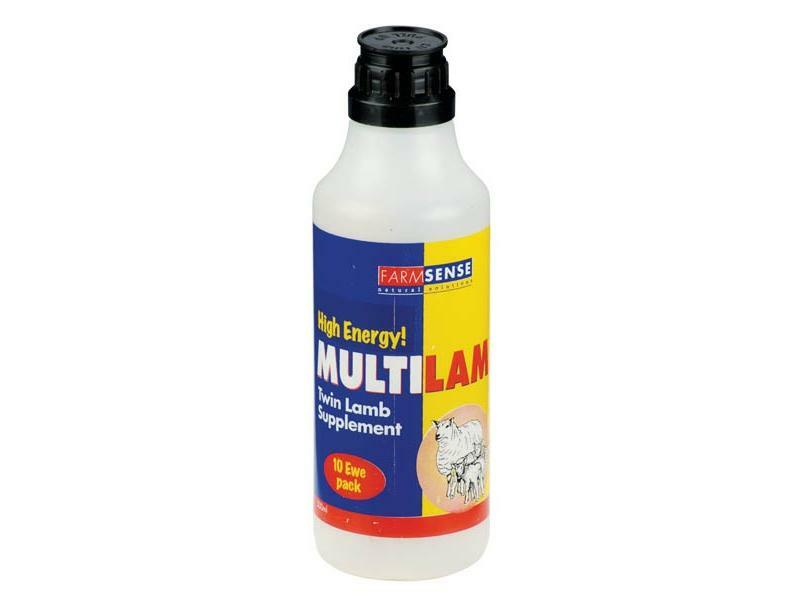 The nutritional requirements of pregnant ewes increase throughout gestation, and ewes pregnant with twins or triplets have an even higher energy requirement. Ewes not receiving sufficient energy during gestation can endanger the survival of their lambs and in extreme cases, themselves. 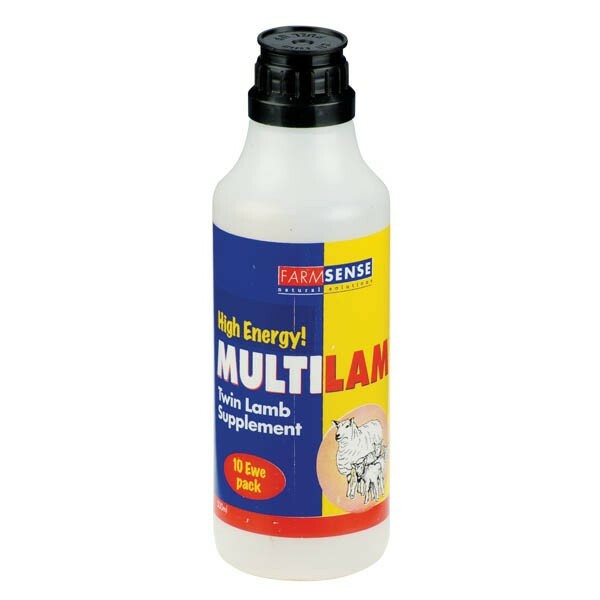 Multilam provides the energy a ewe needs to meet the exceptional energy demand put upon the ewe during pregnancy. Presentation A dark brown liquid. Precautions Store in a dry place, between 15-25°C. Packaging 500ml polypropylene bottles with feeding tube in cap. 12 bottles per display tray in a cardboard outer. SHAKE WELL BEFORE USE. Feed 50ml to each ‘at risk’ ewe at the first sign of energy deficiency – e.g. holding back from feed, wandering, irrational behaviour. In case of distress seek veterinary advice. Warnings Not for human consumption. Only feed to ruminants. There are currently no questions for FarmSense Multilam - be the first to ask one!